For two pipe central heating systems PN 10 with circulation pump. Flow temperature up to 120 °C. With shut off. 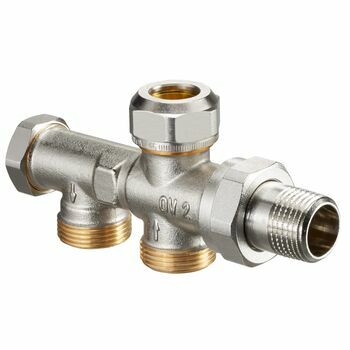 Brass fitting with nickel plated body. 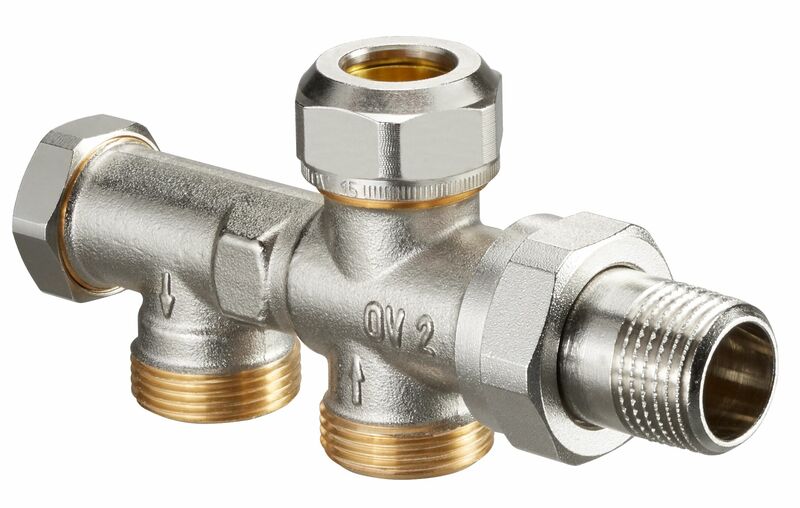 For threaded and compression connections. Distance between pipe centres 35 mm.